“Discours présidentiel: Dessins d’enfants et aide humanitaire : expressions et expositions transnationales/ Presidential Address: Children’s Drawings and Humanitarian Aid: Transnational Expressions and Exhibits”, Revue de la Société historique du Canada/Journal of the Canadian Historical Association, 26, 1 (2015), p. 1-65. “The Rise of Coordinated Action for Children in War and Peace: Experts at the League of Nations, 1924–1945”, in D. Rodogno, B. Struck, J. Vogel, eds. Shaping the Transnational Sphere. Transnational networks of experts and organizations (C. 1850–1930), New York, Berghahn Books. chapter 4, 2014, p. 82-107. “Children’s Rights from Below: Canadian and Transnational Actions, Beliefs, and Discourses, 1900–1989”, in David Goutor and Stephen Heathorn, eds. Taking Liberties. A History of Human Rights in Canada, Oxford University Press, 2013, p. 189-212. “International Child Saving”, in The Routledge History of Childhood in the Western World, Paula Fass, ed. Fall 2012, p. 469-489. “Birth Registration and the Promotion of Children’s Rights in the Interwar Years: The Save the Children International Union’s Conference on the African Child, and Herbert Hoover’s American Child Health Association”, Registration and Recognition. Documenting the Person in World History, Keith Breckenridge and Simon Szreter (eds), Proceedings of the British Academy, 182, 2012, p. 440-473. “The Transnational Movements for Children’s Rights and the Canadian Political Culture: A History”, in Janet Miron, ed. The History of Human Rights in Post-Confederation Canada, Canadian Scholars’ Press Inc, 2009, pp. 157-181. “Peace, War and the Popularity of Children’s rights in Public Opinion, 1919-1959: The League of Nations, the United Nations and the save the Children International Union”, in James Marten ed., Children and War. An Anthology, New York University Press, 2002, p. 184 -199. “The Changing and Emerging Role of the State in Quebec From 1945 to 1970”, in Bob Hesketh, editor, Canada: Confederation to Present, CD-Rom textbook, Chinook Publications, 2001. “The Cold War, Canada, and the United Nations Declaration of the Rights of the Child”, in Greg Donaghy, editor, Canada and the Early Cold War. 1943-1957, Ottawa, Department of Foreign Affairs and International Trade, 1998, p. 183-214. “Reconstruction Politics, the Canadian Welfare State and the Ambiguity of Children’s Rights, 1940-1950”, in Greg Donaghy, editor, Uncertain Horizons. Canadians and their World in 1945, Ottawa, 1996, pp. 261-283. Reprinted in Ed Montigny and Lori Chambers, editors, Family Matters: Papers in Post-Confederation Family History, Toronto, Canadian Scholars’ Press, 1998, p. 135-156. “Family Allowances and Family Autonomy: Québec 1945-1955”, in Bettina Bradbury, editor, Canadian Family History: Selected Readings, Toronto, Copp Clark, 1992, pp. 401-437. Reprinted in Chad Gaffield, editor, Constructing Modern Canada: Readings in Post-Confederation History, Copp Clark, 1994, p. 396-432. “Usages de la notion de « droits des enfants » par les populations coloniales : la Conférence de l’enfance africaine de 1931“, Relations internationales, no. 161, printemps 2015, p. 43-64. With Julia Sterparn, “Oxfam Aid to Canada’s First Nations, 1962–1975: Eating Lynx, Starving for Jobs, and Flying a Talking Bird,” Journal of the Canadian Historical Association, Vol. 22, no. 2, 2012, p. 298-343. “Children’s Rights and Children’s Actions in International Relief and Domestic Welfare: The Work of Herbert Hoover between 1914 and 1950“, Journal of the History of Children and Youth, Volume 1, Issue 3 (Fall 2008), p. 351-388. “Dimensions transnationales et locales de l’histoire des droits des enfants. 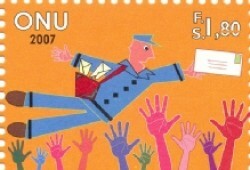 La Société des Nations et les cultures politiqes canadiennes“, Genèses, 71 (June 2008), 47-63. Special issue on “Actions sociales et transnationales”. “The Rights of African Children, the Save the Children Fund and Public Opinion in Europe and Ethiopia: The Centre of Child Welfare of Addis Ababa, Spring 1936”, in Siegbert Uhlig, ed. Proceedings of the International Conference of Ethiopian Studies, Hamburg, July 20-25 2003, Harrassowitz Verlag: Wiesbaden, 2006, p. 296-306. “Genèse et élaboration du système de protection sociale au Québec“, RECMA, Revue internationale de l’économie sociale (Paris), 83, 294 (November 2004), p. 74-89. “Children’s Right and Imperial Political Cultures: Missionary and Humanitarian Contributions to the Conference on the African Child of 1931”, International Journal of Children’s Rights, 12 (2004), p. 273-318. ‘Tensions ethniques et religieuses autour des droits universels des enfants: la participation canadienne au Comité de protection de l’enfance de la Société des Nations, entre 1924 et 1945‘, special issue on childhood of Lien social et politique, Revue internationale d’action communautaire, Autumn 2000, p. 101-123. “The Formation of Childhood as an Object of International Relations: the Child Welfare Committee and the Declaration of Children’s Rights of the League of Nations”, International Journal of Children’s Rights, 7, 2 (1999), p. 103-147. 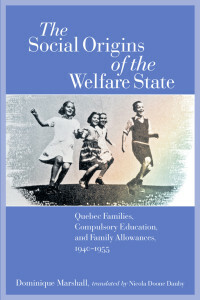 “The Language of Children’s Rights, the Formation of the Welfare State and the Democratic Experience of Poor Families, Quebec, 1940-1955”, Canadian Historical Review, 78, 3 (Fall 1997), 409-441. Reprinted in Michael D. Behiels and Matthew Hayday, eds. Contemporary Quebec. Selected Readings and Commentaries. Montreal and Kingston, McGill-Queen’s, 2011, p. 49-77. “Nationalisme et politiques sociales au Québec depuis 1867. Un siècle de rendez-vous manqués entre l’État, l’Église et les familles”, British Journal of Canadian Studies, Vol. 9, No. 2, (November 1994), p. 301-347. “Les familles québécoises et l’obligation scolaire, 1943-1960“, Lien social et politique, Revue internationale d’action communautaire, 35(Spring 1996), p. 13-22. “Le recul du travail des enfants au Québec entre 1940 et 1960: une explication des conflits entre les familles pauvres et l’État providence”, Labour/Le Travail, No. 24 (Autumn 1989), pp. 91-129. Reprinted and translated as “The Decline of Child Labour in Quebec, 1940-1960: Conflict Between Poor Families and the State“, in Tina Loo and Lorna McLean, editor, Historical Perspectives on Law and Society in Canada, Copp Clark, 1994, p. 254-288. “Les parents québécois et l’État canadien au début du programme des allocations familiales: 1945-1955“, Revue d’histoire de l’Amérique française, Vol. 40, No. 1 (Summer 1986), p. 73-95. Aux origines sociales de l’État-providence: familles québécoises et politiques sociales touchant les enfants entre 1940 et 1950, Montreal, Les Presses de l’Université de Montréal, 1998.  Winner of the 1998-1999 Jean-Charles Falardeau Prize in Social Sciences (now Canada Prize) of the Canadian Federation of Social Sciences and Humanities; Honorable Mention Sir John A. Macdonald Prize of the Canadian Historical Association, 1999. 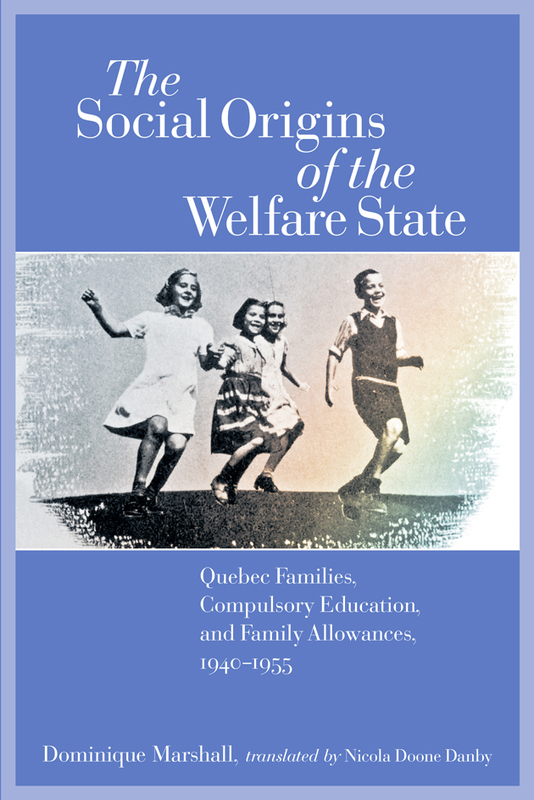 The Social Origins of the Welfare State: Quebec Families, Compulsory Education, and Family Allowances, 1940-1955. Waterloo, Wilfrid Laurier University Press, October 2006. Translation by Nicola Danby. “Red Cross”, Encyclopaedia Aethiopica, Vol. 4, Harrassowitz Verlag: Wiesbaden, 2011. “Save the Children International Union” and “Children’s Rights”, in Akira Iriye & Pierre-Yves Saunier, eds. The Dictionary of Transnational History, a Palgrave Publication, Macmillan publication, 2009, p. 127-130 and 925-926. “Réponse à “The Tragedies of Canadian International History” : un autre survol historiographique”, Canadian Historical Review, Vol. 96, no. 4 (Winter 2015), p. 583-589. “La supervision des thèses de second et de troisième cycles et l’ “apprentissage sur le tas”: conversation avec Bettina Bradbury,” A Scholarly Tribute to Bettina Bradbury, Feminist Historian of the Family: A Roundtable Discussion, Labour/Le travail, 74 (fall 2014), p. 270-275. “Report of the Discussant”, Models of the Welfare State Formation in the Global Context”, Specialised Theme Session 21, in Martyn Lyons, ed. History in Global Perspective: Proceedings of the 20th International Congress of Historical Sciences, Sydney 2005, Sydney: Faculty of arts aand Social Sciences, 2006. CD-ROM. *Note that you can also find a detailed list of my citations through Google Scholar.